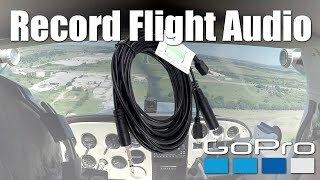 In this video, we talk about how to record your flight audio to the GoPro Hero 3, 3+ and 4 Camera using the NFlightCam Audio and Power Cable. We attended the 54th Annual TXAAA Fly-In in Gainesville, Texas. 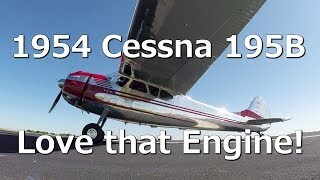 We caught this beautiful 1954 Cessna 195B taxiing in for the event. Anthony Arispe of ArispeAviation.net talks about Garmin GTX 327 Transponder in great detail, plus goes through how to use the interactive panel of the unit. We attended the 54th Annual TXAAA Fly-In in Gainesville, Texas. We caught this beautiful Stearman taxiing in for the event. We mounted the new GoPro Hero5 Session and the Hero4 Session on our airplane and shot a comparison video. The new GoPro Session Video Stabilization is incredible, smoothing out the bumpy shots. The Hero5 Session is perfect for shooting video from your airplane. It's small, light-weight, more aerodynamic than the larger GoPro Hero camera, and has image stabilization. GoPro has introduced a new action camera, The GoPro Hero5 Session, which is perfect for shooting video from your airplane. It's small, light-weight, more aerodynamic than the larger GoPro Hero camera, and has image stabilization. Check out the links below to order any items shown in the video from Amazon. 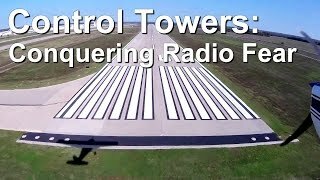 I love to fly, but talking on the radio at a busy, tower controlled airport has always been a phobia for me. Today, I am out to conquer that fear. Join me as I fumble on the radio and begin the learning process. 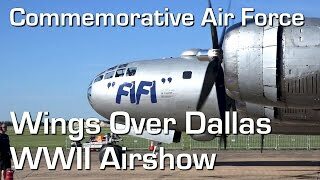 The Commemorative Air Force CAF had its first CAF Wings Over Dallas WWII Airshow for 2016 at Dallas Executive Airport in Dallas, Texas. The event commemorated the 75th anniversary of Pearl Harbor and featured TORA! TORA! TORA!, an award winning re-creation of the surprise attack on Pearl Harbor. Dozens of other WWII-era aircraft were exhibited on the ramp and in the air throughout the event.